Just as the name suggests, this horse really packs a lot of power. I had the opportunity to see this remarkable rare horse breed in action on its home turf while visiting the East Anglia region of England recently. 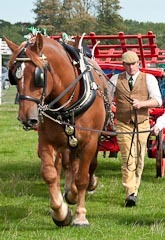 The Suffolk Punch is a giant amongst even its fellow heavy draft breeds with average weight for mares being three quarters of a ton and stallions reaching a full ton in weight. 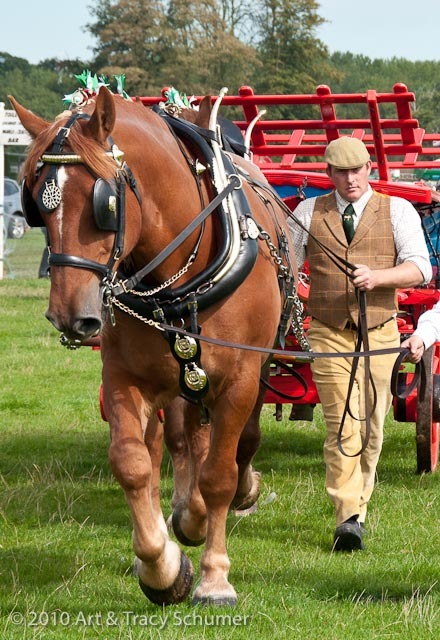 Only a few hundred registered horses can be found in the UK, with an additional small population in the US. 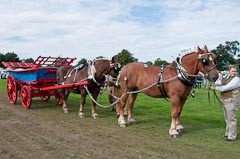 The Suffolk Punch is the oldest heavy draft breed in England that still exists today, with origins dating back to 1506. 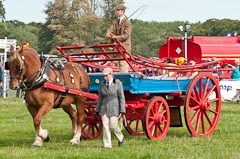 The Suffolk Horse Society was founded in 1877 and is the oldest breed organization of it’s kind in the world. 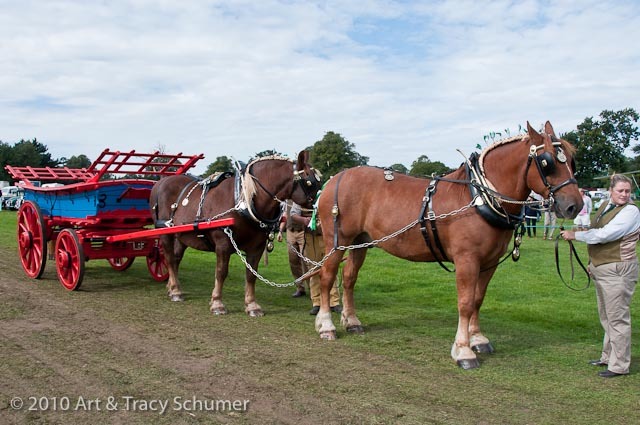 Horses like the Suffolk Punch were the heavy machinery of their day. This highly specialized breed of horse is kept alive today by equally unique individuals. It takes a truly dedicated enthusiast to properly handle and care for these mammoths of the horse world. Just standing next to one of these powerful but gentle giants was an exciting experience. The world of the horse is full of surprising diversity, The Punch being a rare gem.